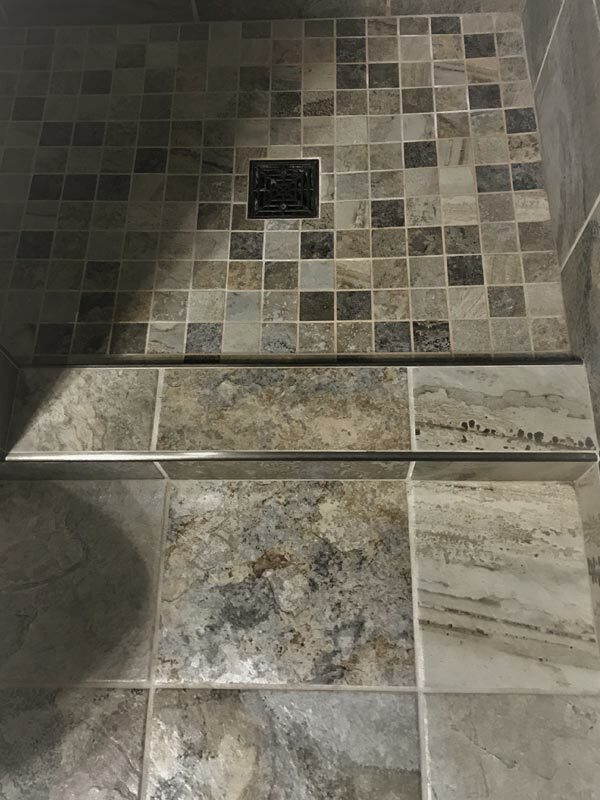 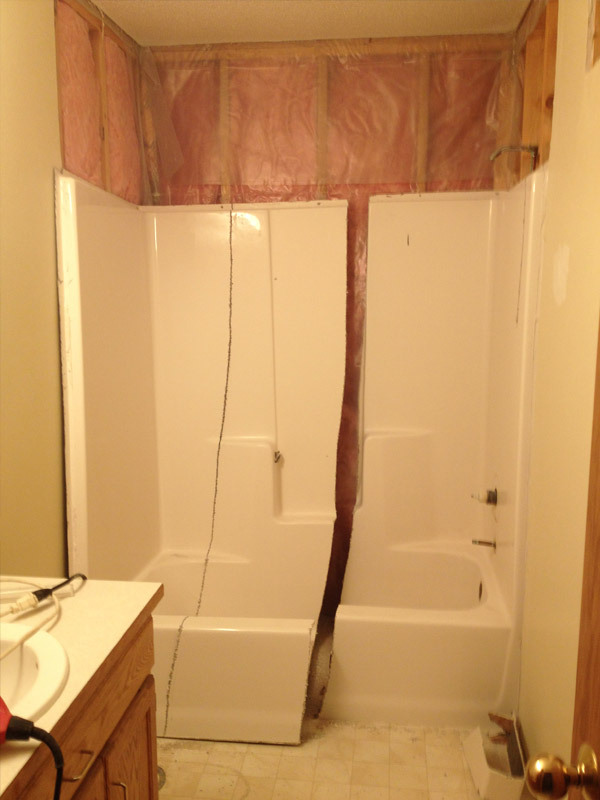 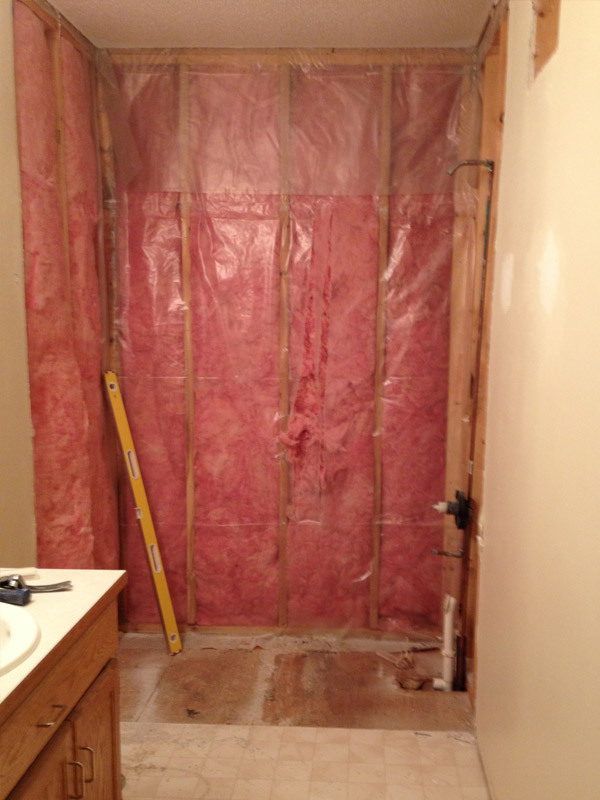 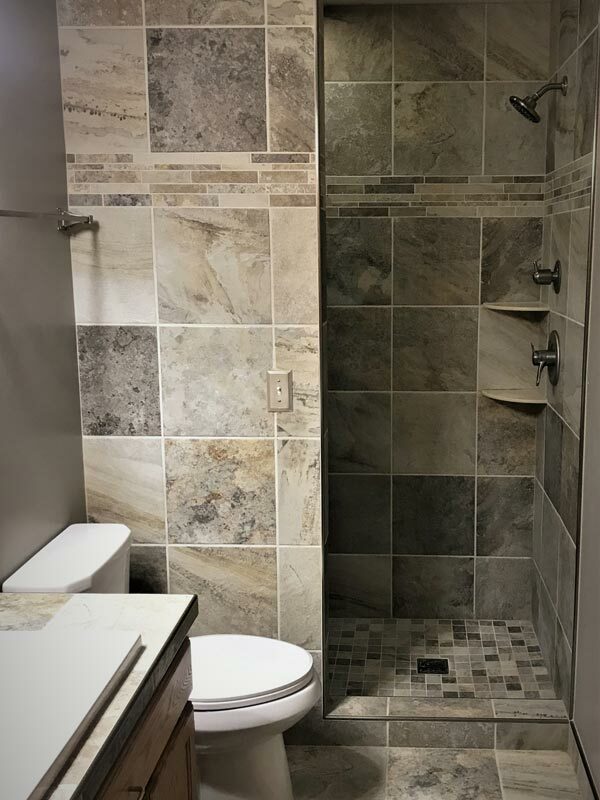 Home owner wanted fiberglass tub/shower replaced with custom walk-in shower. 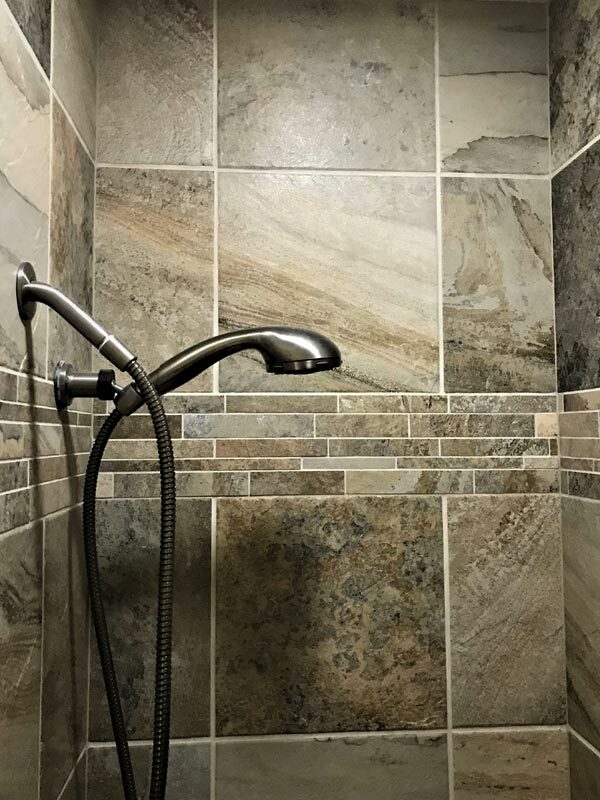 The shower has a bench seat with second shower head on a flex hose about the seat. 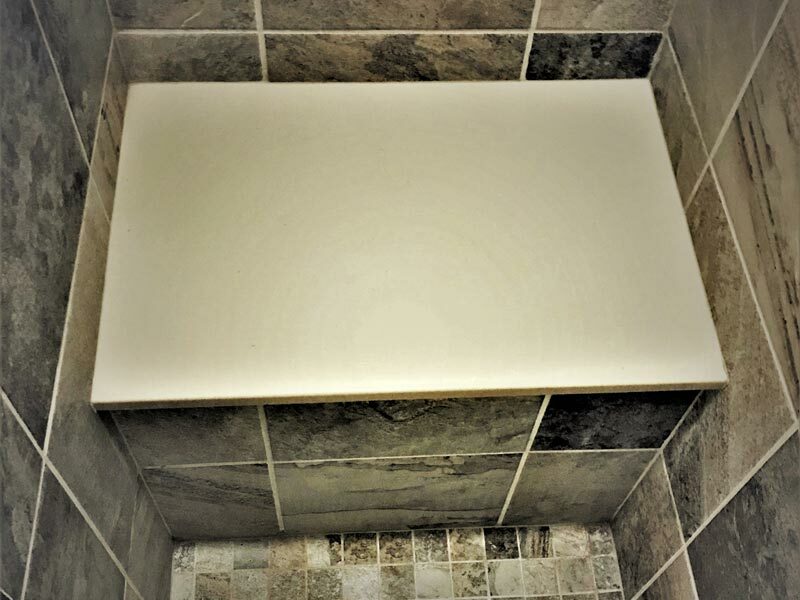 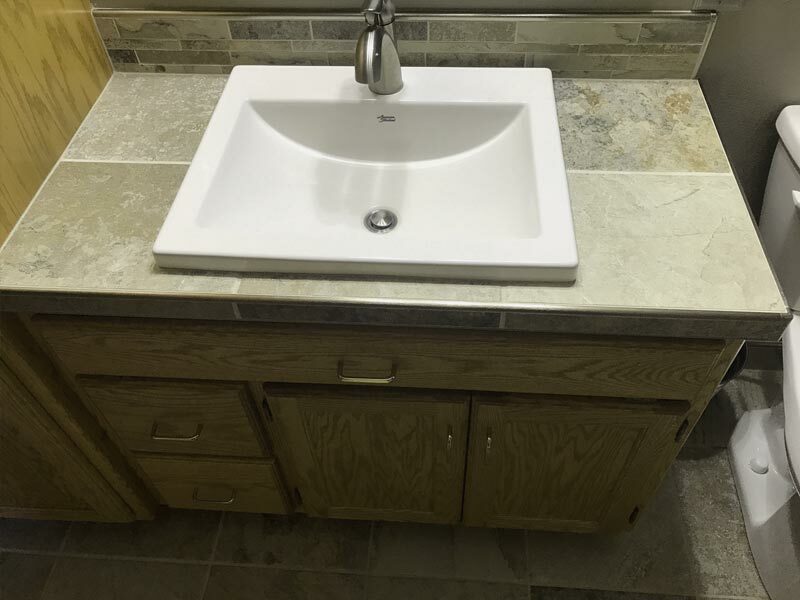 The counter top on the vanity and back splash were replaced with tile to match shower remodel.